Port River users are being reminded of the ban on removing bivalve shellfish from the Port River system. 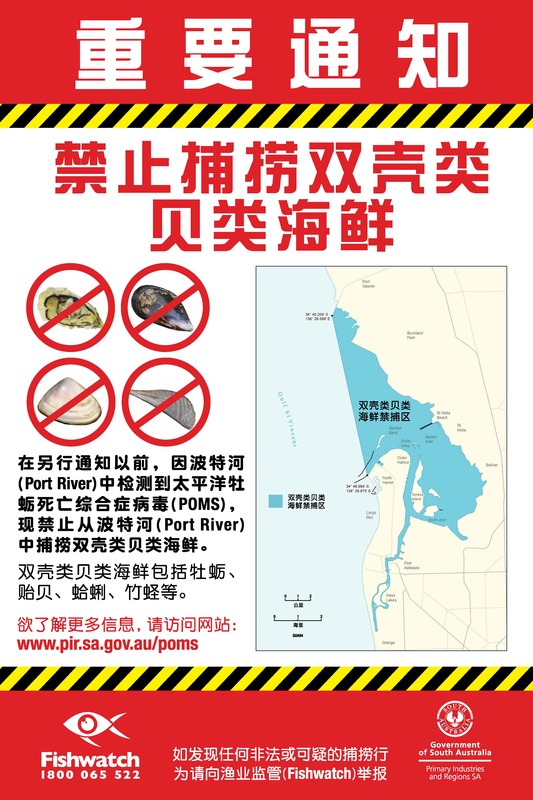 The ban was introduced in February 2018 following the detection of Pacific Oyster Mortality Syndrome (POMS) virus in feral Pacific Oysters in the Port River. 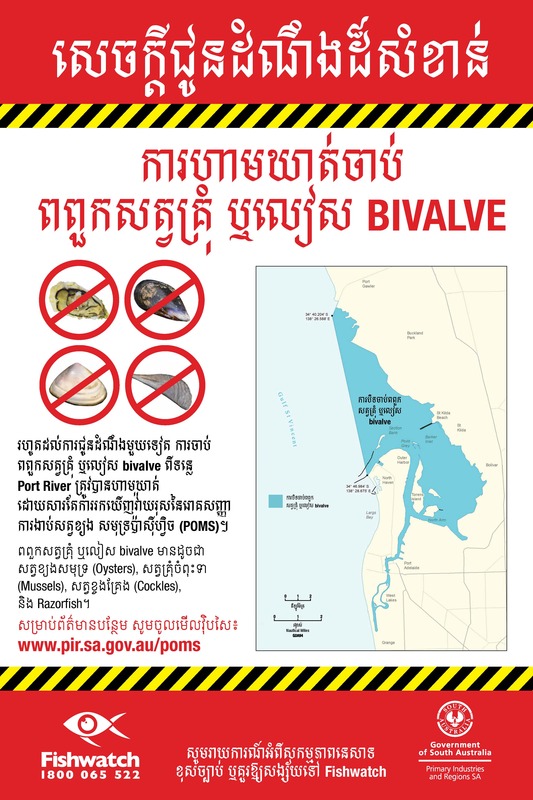 Bivalve shellfish such as oysters, mussels, cockles and razorfish should not be taken from the Port River area for any purpose, including bait or berley. There are no human health concerns associated with POMS, however the virus causes rapid and high mortality rates in farmed Pacific Oysters and if spread poses a significant threat to South Australia’s commercial oyster growing industry. 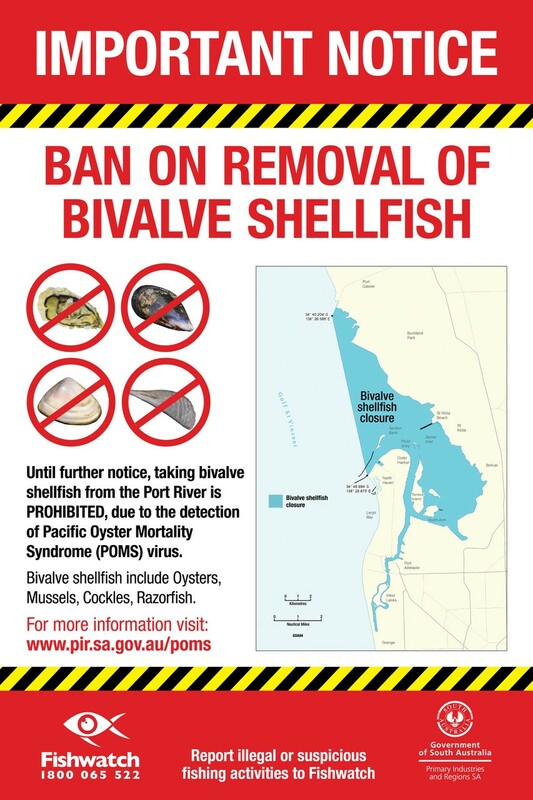 Adhering to the ban on removing bivalve shellfish from the Port River system from West Lakes to Port Gawler, including Section Bank. Do not use Pacific Oysters, oyster shells, or seafood sold for human consumption (including imported seafood) as bait or berley, or discard or store them in the ocean. Under the Fisheries Management Act 2007 it is an offence to release or deposit exotic and/or aquaculture farmed species (such as Pacific Oysters) into the waters of South Australia and penalties of up to $120,000 may apply. 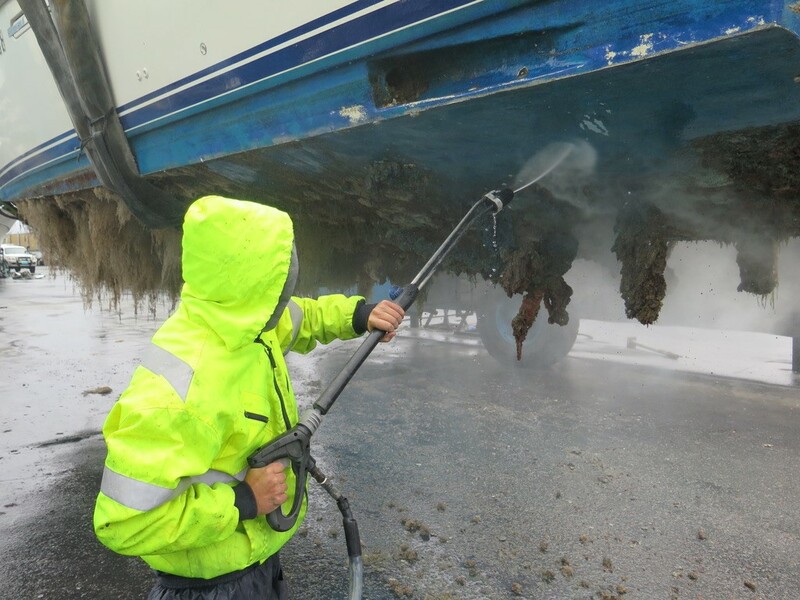 Boat owners should also refer to PIRSA’s guidelines for good vessel cleaning practices. 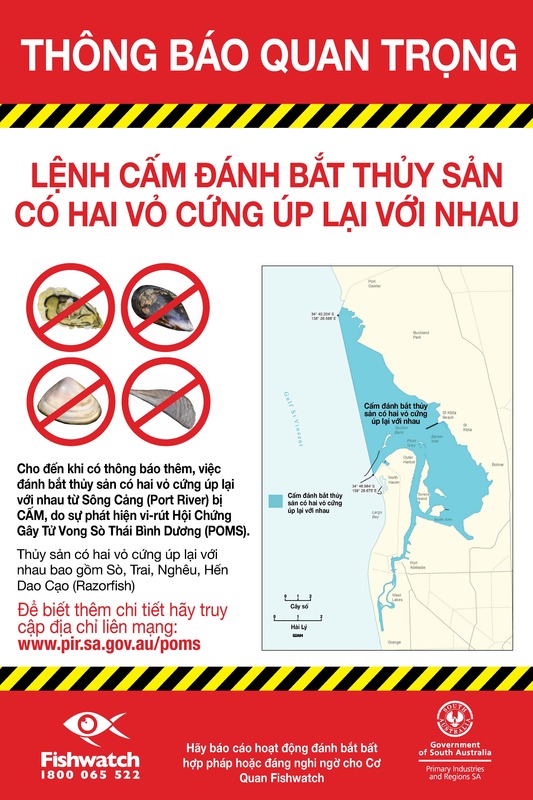 Please visit www.pir.sa.gov.au/poms for more information, including a detailed map showing the locations subject to the ban on bivalve shellfish removal and frequently asked questions.